Basketball is the most popular participatory sport in the United States. As simple as the game often seems throwing a ball through a hoop there are many aspects of the game that go unnoticed. But with Basketball For Dummies, Second Edition, you'll get the inside scoop on hoops. 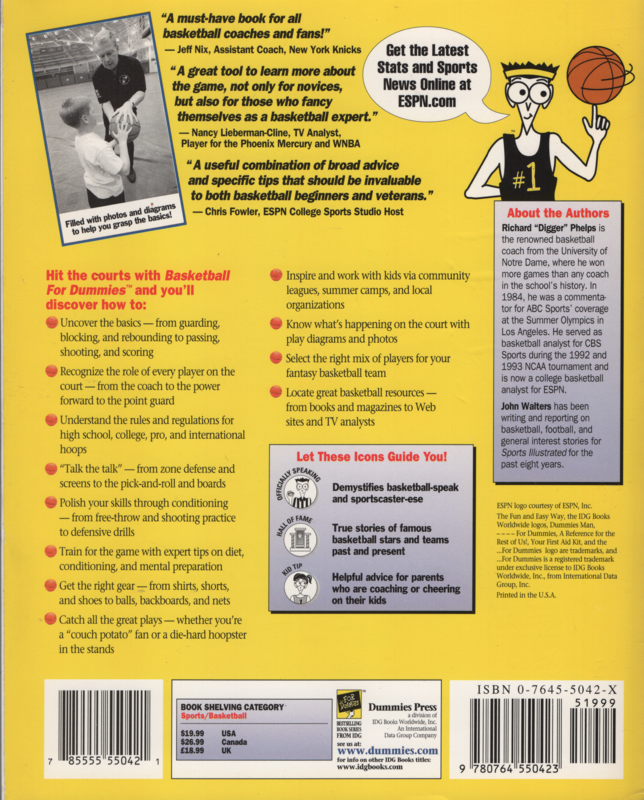 Whether you're a player, a fan, or a coach, Basketball For Dummies, Second Edition will get you better acquainted to the game, so you can play it better, coach it smarter, or appreciate it more as a spectator. Former Notre Dame head coach Digger Phelps begins with the fundamentals and quickly moves up court from there. From playing a pick--up game to watching March Madness on TV to the excitement of the NBA Playoffs, Phelps has come up with a game plan that shows you how to have fun with the game, while you become familiar with it. By the final buzzer, you'll have pulled down pointers on how to play the game, how to look good on the court, how to coach it, how to watch it, ho w to strategize, and even how to talk trash on the playground. 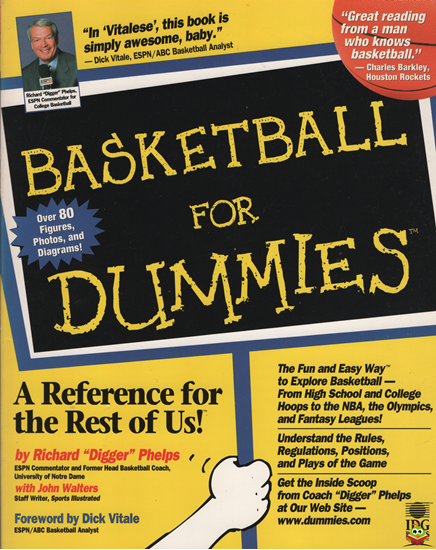 Within these pages, you'll also discover how to: * Suit up for the court * Get into basketball shape * Play effective offense and defense * Use signature moves from NBA greats * Shoot quality free--throws * Join fantasy leagues and get great stuff online From the basics to the latest coaching drills and techniques, this friendly reference offers you expert advice on the plays, strategies, and moves on and off the court from high school to college hoops, to the WNBA, and beyond. Lichte leessporen. Boodschap binnenkant kaft, verder niet in geschreven of gevouwen. Geen breuklijn op de rug. Gekneusde kaftpuntjes.